My first brush with Zara and Inditex (Zara’s parent company) was in the 1990s, when we were comparing product development and supply chain best practices for another European retailer. In 2002, after writing a case study on the Zara business model, I was (and continue to be) surprised at the number of downloads from the website (referenced at the bottom of this article). In 2004, the interest at the Images Fashion Forum was so intense that the Q&A after the presentation exceeded the allotted time, to the extent that I was almost declared persona non grata by the organising team! I’m glad to say that we’re all still friends and, together, witness to the logical next phenomenon: the much anticipated Zara store launch in India in May 2010. And what a phenomenon! On a high-footfall day, at full price, the Delhi store looks as if the merchandise is being given away for free. In 2006, India was the 8th highest source of traffic to the Inditex website (more than half a million, almost 2 per cent of the total); incredible, considering that the other Top-10 countries already had Inditex stores. Although Zara finally signed a joint-venture with the Tata Group, I’m pretty sure that those thousands of other rejected prospective Indian licensees and franchisees must be getting their Zara-fix now as customers. What does the Zara launch mean for the Indian fashion and retail sector? Is this the beginning of a new era? Should we expect Zarafication of the market, where the customer is driven by fashion, and the supply chain will turn and churn products faster than ever before? Should other international brands and Indian fashion brands be worried? A peek at history is useful here. It is said that when Spanish conquistadors landed on the shores of the Americas they managed to conquer the land and the people through a combination of guns, germs and steel. [Credits to Jared Diamond for that evocative phrase.] That is, the Spanish carried guns and fine steel swords but, most importantly, they also carried diseases that were alien to the local population. In many places, the weakened and leaderless indigenous people were simply too battered psychologically and physically by disease, to fight the colonisers. Keeping that in mind I would say, Zara’s entry is a warning bell only if your business is suffering from recent financial and operational illnesses. It is only dangerous if your team are psychologically weak, and would be overwhelmed just by the thought of the supply chain wizardry that Zara has deployed in its business internationally. It may be fatal for sleepy marketing teams whose only strategy has been to spend lots of money on advertising in season and on mark-downs after the season. 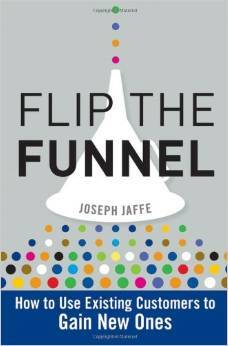 But it’s not doom and gloom for brands and businesses that have a competitive spark of life. If you’re prepared to learn, Zara’s business can provide lessons on how to create a product mix that doesn’t stay on the shelf for months, and on how to create the buzz and excitement around the brand. Zara’s business success in India is not a foregone conclusion. Let’s look at the facts. Zara’s business model in its home market was built on getting up-to-date fashion into the market before anyone else, and at lower costs. Its prices encouraged fashion-conscious consumers to buy more frequently, and though its limited production quantities were a way of reducing risk, it added to the allure of the brand. In most overseas markets, however, Zara is a somewhat more premium brand. The “value-for-money” for the brand rests on fashionability rather than product quality. The Indian consumer base, on the other hand, is less fashion-sensitive than the European consumer. This is not equivalent to being less sensitive aesthetically – Indian consumers can tell good design from bad; allowing, of course, for varying taste! However, value consciousness drives many consumers to buy during discount sales with delay of 2-3 months, rather than buying current fashions at full price. This can be a problem for a brand that thrives on change. Zara will initially have a limited physical footprint. It is targeted at the premium to luxury end of the market, fitting a certain physical profile of customer. Its products that are imported are disadvantaged by a hefty import duty and shipping costs, as well as the shipment lead time. So, there is time available to Indian businesses that want to adapt their business model, and learn from this new competitor. 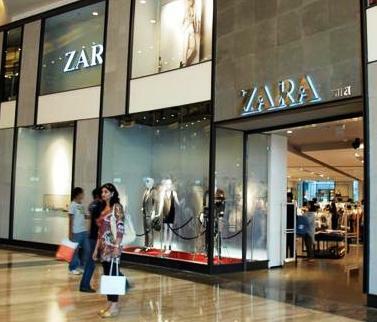 With the product development strengths and the agility that Indian apparel companies have displayed in the past, there is no reason why Indian brands cannot compete effectively with Zara on their home turf. When it comes down to it, I think Indian businesses (the small ones, with less “organisation” and “process” orientation) are fast on their feet in identifying design trends and are able to responding to the trends with products being available in the market very quickly. I would call them the Indian “baby Zaras”. So the real question is this: can these Indian “baby Zaras” learn to be disciplined and structured, and learn to scale up their businesses? Could we, perhaps, even see some people creating copies of Zara’s styles and bringing them to the market quickly at much lower prices (in effect doing a Zara on Zara)? Let’s not forget, what is today an 11-billion Euro business was once a contract manufacturer to other retailers, and Zara started with one shop carrying low-priced versions of products inspired by those of high-fashion designer brands. The coming years promise to be interesting and I think we should watch out for an Indian version of an Inditex emerging in the next few years. It remains to be seen whether it will be from among the existing players in the domestic market, an exporter who is a contract manufacturer for western retailers (as Inditex once was), or someone totally new. The people who should be really worried are those international brands whose product mix in India is weak, whose prices make you want to marry a rich banker, and whose brand ethos is totally unclear. To them I would say: Zara has you in its gun-sights.